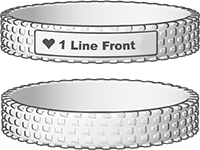 Custom silicone wristbands molded in a tire tread pattern. Molded, washed, and produced from a real mold and quality-checked for accuracy, our unique tire tread is a show-stopper. Mix it up with Reminderband's high-quality textured silicone bracelets, in tire or golf patterns. 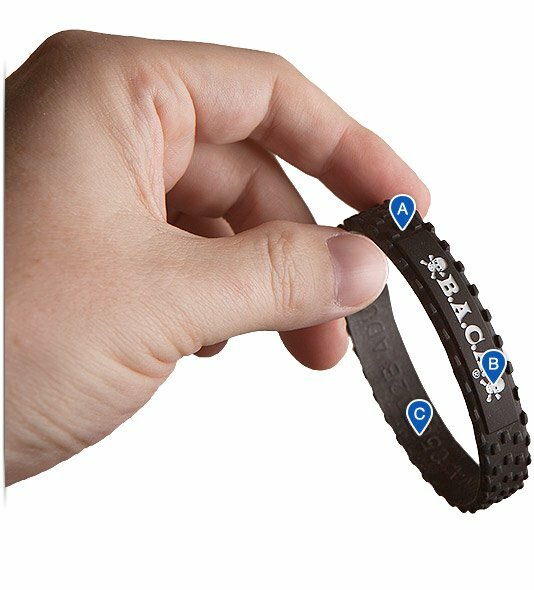 Durable black silicone molded into a tire tread with optional space for debossing. Perfect for car or sports lovers. 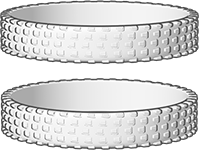 See it in action in our 3D viewer at right – a debossable tire band with glow-in-the-dark color-fill text is displayed.